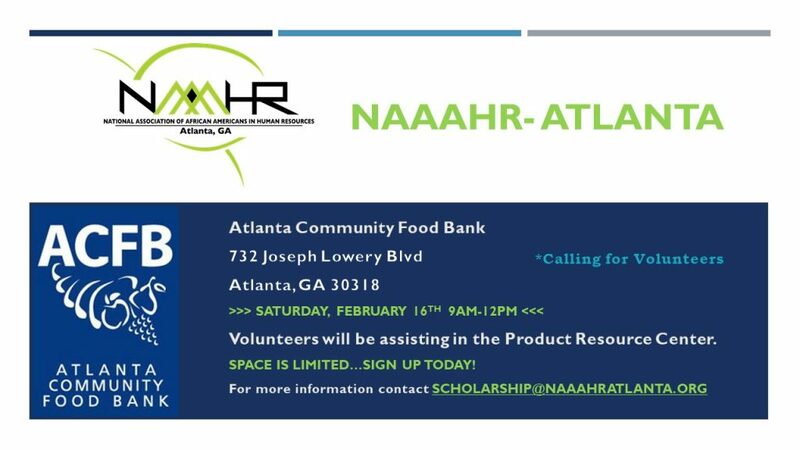 Members and guests, NAAAHR-Atlanta will be hosting our first volunteer event of 2019 at the Atlanta Community Food Bank. Volunteers will be assisting in the Product Rescue Center with a variety of activities. If you would like to volunteer, please email scholarship@naaahratlanta.org. Space is limited, so early sign up is strongly encouraged. The Product Rescue Center (PRC) provides a great hands-on experience in a diverse and social atmosphere. Groups and individual volunteers come together to inspect, sort, and pack quality grocery donations to prepare for distribution to over 600 partner agencies across Georgia.